To heal is empowering and more so when we have the tools and the desire to discover it within ourselves. Antonella brings support and guidance to adults who are ready to embrace whole foods in their diet and deter processed, refined, sugary substances. Through this process, clients become deeply aware of the power of food as medicine and become more in tune to their bodies’ needs for nourishment. Her goal is to bring a nurturing, self-healing and vibrant connection to the lives of people so that they may live in balance and have joy and appreciation for their individuality. 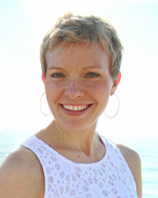 Michelle Joy Kramer, CHHC, AADP, is a Board-Certified Holistic Health Practitioner and Nutrition Coach who helps individuals and corporate teams achieve their optimal health through healthy lifestyle changes.